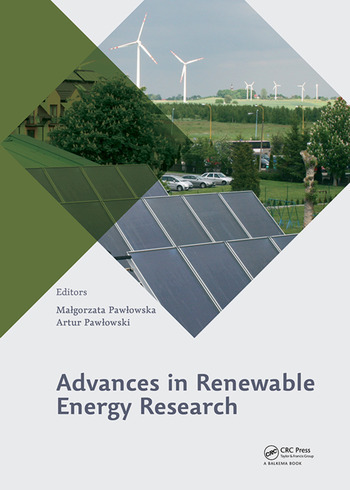 Advances in Renewable Energy Research comprises papers delivered at an international workshop by authors from Poland, Germany, Ukraine, China, Japan and Taiwan. The papers discussed the development of renewable energy technologies in certain countries, with special attention deviated to the conducted scientific research. The greatest attention was paid to the use of biomass, which uses resources that are readily-available in large quantities in all countries. The experience related to the use of biomass for energy generation was presented for certain countries, i.e. Germany and Japan as representatives of the most advanced countries in the field of energy generation from renewable sources, Taiwan and Poland, which have some experience in that area as well, and China and Ukraine, which have just started the introduction of renewable energy technologies. The greatest attention was devoted to the biogas production methods, i.e. chemical, biological, and mechanical pre-treatment methods, as well as enhancement of anaerobic fermentation and purifi cation of the biogas produced. -The development of solar (photovoltaic and thermal) methods and the use of heat pumps in residential buildings are also discussed, mostly with Polish experience asan example. Special attention is paid to research methods to be used for development of renewable energy technologies. 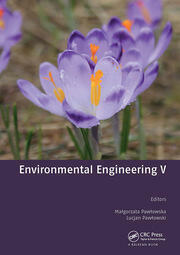 Advances in Renewable Energy Research is useful for engineers and researchers working in the renewable energy area. Malgorzata Pawlowska, Ph.D., Sc.D. (habilitation) was born in 1969 in Sanok, Poland. In 1993 she received M.Sc of the protection of the environment at the Catholic University of Lublin, and has been working in the Lublin University of Technology, Faculty of Environmental Engineering ever since. In 1999 she defended Ph.D. in the Institute of Agrophysics of the Polish Academy of Science and in 2010 she defended D.Sc. thesis at the Technical University of Wroclaw and was appointed as associate professor and head of Engineering of Alternative Fuels Department at Faculty of Environmental Engineering Lublin University of Technology. She is currently working in the field of biomethanization processes and application of selected wastes for remediation of degraded land. Malgorzata has published 60 papers, 3 books and is co-author of 7 polish patents and 1 European patent. Prof. Artur Pawlowski was born in Lublin in 1969. From 1993 he has worked in the Lublin University of Technology where he is currently full Professor and Head of Department of Sustainable Development. His main field is environmental engineering, renewable sources of energy and multidimensional nature of sustainable development. In 2011 he published the book "Sustainable Development as a Civilizational Revolution. A Multidisciplinary Approach to the Challenges of the 21st Century" (Taylor and Francis / CRC Press). Artur is member of the European Academy of Science and Arts, the Committee of Environmental Engineering of the Polish Academy of Sciences, the International Academy of Ecological Safety and Nature Management and the International Association for Environmental Philosophy. 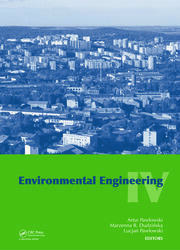 He is also editor-in-chief of the scientific journal Problemy Ekorozwoju/ Problems of Sustainable Development and member of the editorial board of the Committee of Environmental Engineering monographs. Artur is author of more than 150 publications, published in English, Polish and Chinese.